An assistant principal working for Cumberland County schools has been charged with assault. Carmel Nichols McFarlin, age 40, was charged with Simple Domestic Assault, which is a misdemeanor. The suspect’s hands, feet, and teeth were used during the alleged assault. The victim is apparently her husband. 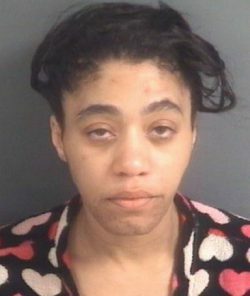 Court records show that McFarlin was booked under the name Carmen Nichols last Saturday and had her first hearing this past Monday. Her bail was set at $1,500. Carmen McFarlin is the assistant principal at Reid Classical High School. Cumberland County Schools officials said that McFarlin has been with the district since August of 2001. She became an assistant principal in July 2014. According to Associate Superintendent of Human Resources Ruben Reyes, the district is aware of the charges and an investigation is underway. This entry was posted in CRIME, EDUCATION, LL1885, Quiet Epidemic and tagged Carmen Nichols McFarlin, Cumberland County, Quiet Epidemic. Bookmark the permalink.